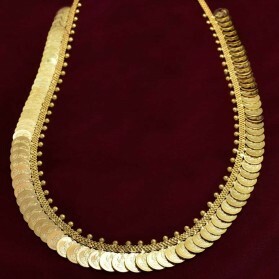 Antique Gold Plated Peacock Bridal|Wedding Jewellery Set. 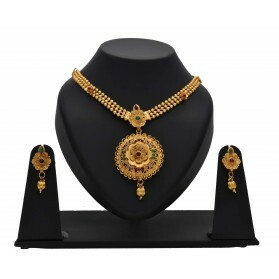 This Kollam Supreme South Indian traditional jewelry set contains one short and one long necklaces, two pair matching jhumkas and one maang Tikka. All these classic, as well as trendy design jewellery, have antique matte finish and Kemp stones which makes it perfect bridal wear. 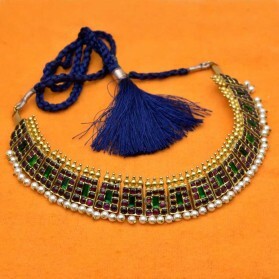 It can be also used on classical dance performance. 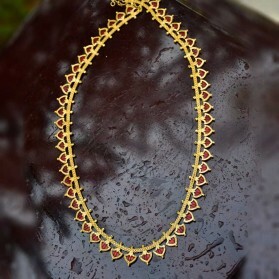 You'll look marvellous & pretty with this high-quality necklace set. 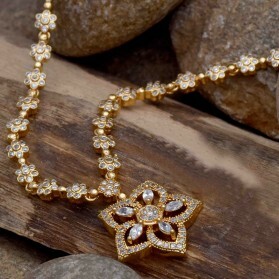 With the use of premium gold finishing, this necklace will not lose its shine over a long period of time.